A place to display my photos and ramble on a bit. Vehicle, originally uploaded by needlepointernc. 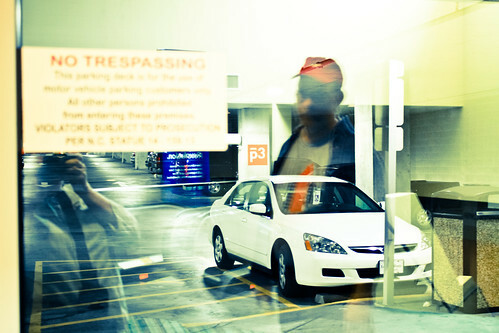 Our VEHICLE was parked in the Marriott garage. We went to downtown Raleigh yesterday to see what was going on at sparkCon 2011. It was a rainy cloudy weekend so the chalk art contest got somewhat washed out. But, many persevered. I used Lightroom to change the original image. I used the Holga preset and then and Edge preset.